During the eleventh and twelfth centuries A.D., the Mogollon Rim region of east-central Arizona was a frontier, situated beyond and between larger regional organizations such as Chaco, Hohokam, and Mimbres. On this southwestern edge of the Puebloan world, past settlement poses a contradiction to those who study it. Population density was low and land abundant, yet the region was overbuilt with great kivas, a form of community-level architecture. Using a frontier model to evaluate household, community, and regional data, Sarah Herr demonstrates that the archaeological patterns of the Mogollon Rim region were created by the flexible and creative behaviors of small-scale agriculturalists. 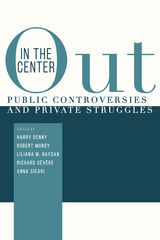 These people lived in a land-rich and labor-poor environment in which expediency, mobility, and fluid social organization were the rule and rigid structures and normative behaviors the exception. Herr's research shows that the eleventh- and twelfth-century inhabitants of the Mogollon Rim region were recent migrants, probably from the southern portion of the Chacoan region. These early settlers built houses and ceremonial structures and made ceramic vessels that resembled those of their homeland, but their social and political organization was not the same as that of their ancestors. Mogollon Rim communities were shaped by the cultural backgrounds of migrants, by their liminal position on the political landscape, and by the unique processes associated with frontiers. As migrants moved from homeland to frontier, a reversal in the proportion of land to labor dramatically changed the social relations of production. 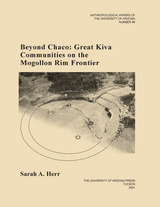 Herr argues that when the context of production changes in this way, wealth-in-people becomes more valuable than material wealth, and social relationships and cultural symbols such as the great kiva must be reinterpreted accordingly. Beyond Chaco expands our knowledge of the prehistory of this region and contributes to our understanding of how ancestral communities were constituted in lower-population areas of the agrarian Southwest. The vast and beautiful landscape of the American Southwest has long haunted artists and writers seeking to understand the mysteries of the deep affinity between the land and the Native Americans who have lived on it for centuries. In this pioneering study, art historian Vincent Scully explores the inhabitants' understanding of the natural world in an entirely original way—by observing and analyzing the complex yet visible relationships between the landscape of mountain and desert, the ancient ruins and the pueblos, and the ceremonial dances that take place with them. Scully sees these intricate dances as the most profound works of art yet produced on the American continent—as human action entwined with the natural world and framed by architectural forms, in which the Pueblos express their belief in the unity of all earthly things. Scully's observations, presented in lively prose and exciting photographs, are based on his own personal experiences of the Southwest; on his exploration of the region of the Rio Grande and the Hopi mesas; on his witnessing of the dances and ceremonies of the Pueblos and others; and on his research into their culture and history. 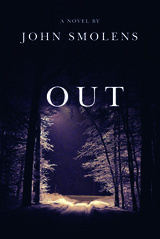 He draws on the vast literature inspired by the Native Americans—from early exploration narratives to the writing of D. H. Lawrence to recent scholarship—to enrich and support his unique approach to the subject. 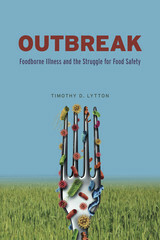 To this second edition Scully has added a new preface that raises issues of preservation and development. He has also written an extensive postscript that reassesses the relationship between nature and culture in Native American tradition and its relevance to contemporary architecture and landscape. The continuing work of the Crow Canyon Archaeological Center has focused on community life in the northern Southwest during the Great Pueblo period (AD 1150– 1300). Researchers have been able to demonstrate that during the last Puebloan occupation of the area the majority of the population lived in dispersed communities and large villages of the Great Sage Plain, rather than at nearby Mesa Verde. The work at Sand Canyon Pueblo and more than sixty other large contemporary pueblos has examined reasons for population aggregation and why this strategy was ultimately forsaken in favor of a migration south of the San Juan River, leaving the area depopulated by 1290. 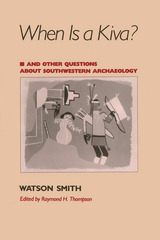 Contributors to this volume, many of whom are distinguished southwestern researchers, draw from a common database derived from extensive investigations at the 530-room Sand Canyon Pueblo, intensive test excavations at thirteen small sites and four large villages, a twenty-five square kilometer full-coverage survey, and an inventory of all known villages in the region. Topics include the context within which people moved into villages, how they dealt with climatic changes and increasing social conflict, and how they became increasingly isolated from the rest of the Southwest. 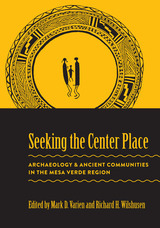 Seeking the Center Place is the most detailed view we have ever had of the last Pueblo communities in the Mesa Verde region and will provide a better understanding of the factors that precipitated the migration of thousands of people. Archaeologist Watson Smith participated in such important excavations as the Lowry Ruin, the Rainbow Bridge-Monument Valley Expedition, and Awatovi. 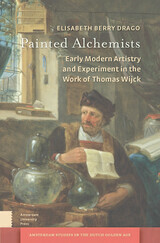 This volume gathers ten of his essays on archaeological topics--especially on Anasazi and Hopi prehistory. Pit House and Kiva Pitfalls: When Is a Kiva?